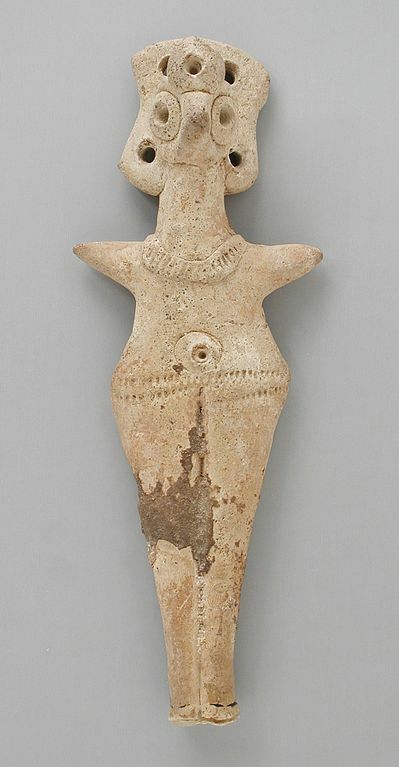 The Mother Goddess Ishtar, Mesopotamia, Babylonian, circa 2000 B.C. We come into this world through the feminine, the Mother Earth, represented throughout the history of human mythology. We come from oneness, from love, the Mother Goddess representing the sacred and indivisible wholeness to which we ultimately must return. The feminine energy, however, has been repressed in our culture; it is, however, an indispensable aspect of human consciousness. It must be brought back into consciousness and restored to full balance with the masculine if we are to achieve a harmonious balance between these two essential ways of experiencing life.